Take a holiday in Merseyside and relish a unique city break! Take a stroll along Cavern Walks where the Beatles gained fame before going on to charm the globe, or enjoy the counties lively rugby league heritage. Get a Camperbug camper hire today! Set in northwest England, Merseyside is a metropolitan county, containing five metropolitan boroughs - Knowsley, St. Helens, Sefton, Wirral, plus the city of Liverpool.. King John saw Liverpool as a fitting point of disembarkation for capturing Ireland and the island during the early 13th century settlements began to spring up around the port of Liverpool. By the 19th-century imports of cotton and different raw materials began to make its way from the United States. Today, the sights and sound of the metropolitan city of Liverpool and the county of Merseyside continue to impress visitors. Take a stroll among the teenage haunts of Paul McCartney and John Lennon, enjoy an evening of golf at the Royal Birkdale or sun yourself among the coastal landscape! To find a Merseyside campervan hire, just scroll through the vans below. Once you select a camper, log in to your Camperbug account and chat with the van owner about reservations, travel tips and van facilities. It's that easy! I am LilMissSunshine, hire me today! 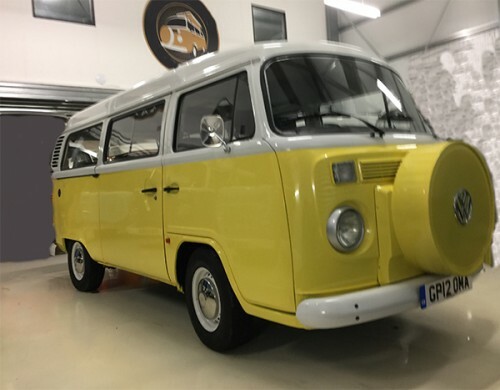 Lil'l Miss Sunshine is a brand new bespoke beautiful brand new campervan conversion. Classy interior colour scheme and finishing - superior to any Danbury interiors in so many ways. Shes got style, quality and character throughout. Perfection for that classy, but quirky wedding vehicle and/or honeymoon. Also available for holidays.